Mayday! Mayday! We’re going down! You’ve crashed in the jungle and you must now find your way to safety, avoiding the wildlife and the drug dealers along the way. Decide if you live or die in this choose-your-own-destiny adventure from real-life explorer Simon Chapman. This book isn’t like others you may have read – inside you make the choices. 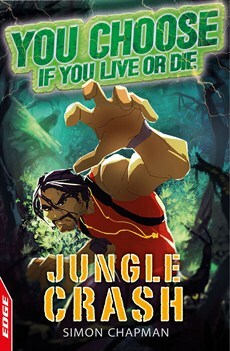 Can you escape from the jungle? Can you survive the drug dealers? Only you can decide if you live or die inside!